Your donation helps us to accomplish our mission to strengthen the bonds between the Cleveland Division of Police and the citizens it serves, working together to make our city safer for all. To accomplish that goal, the CPF works proactively to support and invest in programs, community policing initiatives and engagement, events that foster stronger relationships between citizens and police officers, and police charities. The Cleveland Police Foundation is the official charity for the Cleveland Division of Police and the only organization authorized to solicit charitable contributions on its behalf. Contributions are tax deductible under section 501 (c)(3) of the IRS Code. A member of or staff is happy to discuss how you, your company, or foundation can best invest in making our community safer. To learn more about our programs and giving opportunities, please contact us at 216-623-3333, or info@clevelandpolicefoundation.org. 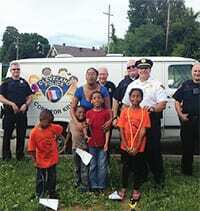 If you would like to apply the donation to a specific program, please indicate that on the payment page (e.g., Cops for Kids, Holiday Party, Gifts for Kids in Need, Random Acts of Kindness Program, Annual Gun Buyback, Cleveland Police Athletic League (PAL), Police Memorial Society, Police Historical Society, Mounted Unit Charitable Trust or Cleveland Police Honor Guard. Want to help out a child in need? We’re appreciative of your donation! The holiday party is one of many community outreach activities by the members of the CPD during the Christmas holiday season. This community outreach endeavor is to help families and individuals in need. Gift cards will be distributed to POs and Detectives to be given out during friendly encounters in keeping with the spirit of the Holiday Season. The Cleveland Police Foundation, in a strategic partnership with the Cleveland Division of Police, have jointly designed the Public Safety Career Pipeline Program to develop a pipeline of highly qualified candidates interested in a career in law enforcement. To learn more about the program, please visit this page. Since the GCPOM was first dedicated in 1993, it’s been necessary to add the names of more officers that have made the ultimate sacrifice. 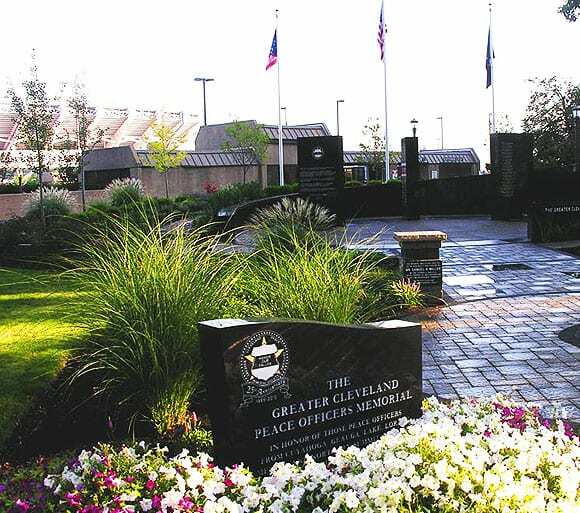 It’s due to these losses and the discovery of more officers that died in the line of duty throughout the history of our region that it has become necessary to expand the Greater Cleveland Peace Officers Memorial. The expansion is made possible through the generous donations made by our citizens. We invite you to join in this effort to honor those who gave their lives in service to our communities. If you would like to become a sponsor or friend, please feel free to contact us at (216) 623-3333 or via email.